Webmetrix Group can help you grow your business with Search Engine Optimization in Louisville Kentucky. Search engine optimization is one of the biggest keys to growing your business beyond your current clientele. Customers these days don’t automatically go to the Yellow Pages to find your business—they search online for someone who can do what they need. That’s why search engine optimization, or SEO, is extremely important. SEO is a huge buzzword, creating new jobs and broadening the skill set required for old ones. It’s important to every business. But some firms only provide optimization in general terms, instead of prioritizing your local area the way that we do. If you’re in Louisville, Louisville SEO becomes extremely important. You’re trying to reach a local audience. Utilizing SEO lets you beat your competition in the local area because when someone is looking for a service they go to the Google Search Engine. Global and local SEO are two completely different things—they have some similarities, but to really succeed at the level you need to, you’re going to have to prioritize. Local businesses have to be easy to search, and they need to be able to be found with the terms people are actually using—not the ones you like the most. If you really want to get ahead of the pack in Google in the Louisville Area, there’s a few things you need to keep in mind. Firstly, when it comes to local search, quality is better than quantity. With a big national or international company, you might try to build links by getting backlinks from one or two very large sites. For Louisville local businesses, though, it’s more effective to build some links back from smaller sites, especially those that are based around more local businesses. Finding associates of your company or other local companies that you work with who can sponsor links will help you build a stock of excellent links. Think about it like building a fire—if you’re focusing on building a smaller, localized fire, you use smaller pieces of wood, and more of them. Creating local links will help you build up a quality search base in Louisville, not just scatter your energy everywhere. You might not rank as highly nationally, but you’ll show up better for your area. For a local company, reviews are absolutely essential. Those user experiences are tangible evidence that people are interested in your business, and if they share them, that helps you out. It will help you build links—for example, a restaurant that gets featured on a local restaurant review site. It will help you build credibility. And when your name is searched, the links that come up are more likely to be complimentary of your business. Louisville SEO is all about creating a relationship with your customers that’s so strong that it shows up on Google. Soliciting reviews can be a great way to build up that SEO juice, as well. You need to be careful to word it right, though—don’t give any expectation of return if they leave a good review, because that can backfire. Ask for honest reviews. Apple Maps pulls its data from Yelp, but Google pulls its reviews from the Google My Business page. Make sure that you’ve claimed that valuable real estate and that your reviews are solid, and you’ll see the results in your Louisville SEO. For your Louisville SEO Campaigns, it’s essential that you make sure your website works well on a mobile device. Mobile devices are one of the chief drivers of local SEO effectiveness—often the main reason people are searching on a mobile device is because they’re on the move and looking for a location. Claiming your Google My Business page will help you there, too. Mobile page optimization is important for both local and global SEO, because Google will ding you for bad mobile design either way. If your design is good, though, you’ll be ranking higher than your Louisville SEO competitors that haven’t put the time and effort into making their sites work correctly. It pays to invest the time, effort and energy it takes to create a really strong mobile site. Spend some time on mobile optimization and reap the dividends. Nearly one-third of all Google searches are related to location. If you’re slaying your Louisville SEO, everyone in the city will see your business when they’re looking for what you do. Creating a strong connection between your location and your business, making sure your address is clearly posted and your contact information is available—these are the things that will help you maximize your footprint in Louisville. It’s easy to get confused, misled, turned around or just flat overwhelmed. That’s why there are SEO professionals who specialize in both local and global SEO. When you want to build up the footprint of your Louisville SEO, it’s probably time to call in an expert. Here at Webmetrix, we pride ourselves on building SEO that stands the test of time. 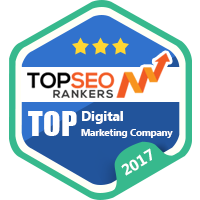 We pride ourselves on helping local businesses succeed in their SEO endeavors so that people can find them and use their goods and services. We’ve created millions of dollars of extra revenue per year for businesses all around the globe, and we want to bring that to your business too. Louisville SEO is just one of the things we can help with. At the end of the day, it’s hard for most organizations to bring enough SEO talent in house to stay on top of things. That’s why Webmetrix is here to help. We’re striving to provide the best Louisville SEO possible for businesses in and around the metropolitan area. When you’re looking for a company that can get you to the next level, give us a call, send us an email, reach out to us on social media or drop us a line via our Contact Us form. We’ll be happy to show you how we can help your business succeed. Because at the end of the day, good SEO is all about you and your business.